DIY Tip - Prepping your Concrete site before pouring - Steve's U-Cart Concrete, Inc.
Planning to do some DIY concrete projects this spring? Preparing your site for concrete is an important part of the process, and the folks at Steve’s U-Cart Concrete want to provide some tips for your upcoming job. All black dirt, vegetation, wood, bricks, large rocks, etc. should be removed and the site leveled off. The driveway base should be uniform, preferably undisturbed subgrade soil. A granular base is usually not necessary, however, crushed fill of 20mm maximum size base coarse material may be used to bring the site to uniform bearing and final grade. Backfill material should be well compacted. 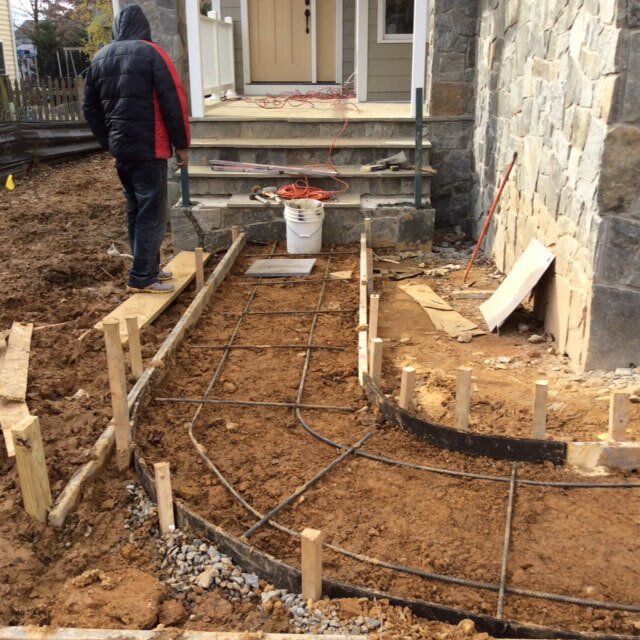 The base should be dampened before the concrete is placed. Forms should be constructed with 50mm normal thickness lumber and should be well anchored with 25mm X 50mm (1 X 2 inch) stakes, driven firmly into the ground at 1 metre intervals. Forms should be oiled before placing the concrete to facilitate form removal. Slab thickness should be a minimum of 100mm where the driveway is to be used exclusively by passenger cars. If larger vehicles, such as trucks with topsoil or moving vans, will be using the driveway, a thickness of 150mm is recommended. Reinforcing steel is recommended, but not required. Reinforcing steel does not prevent crack formation, if properly placed it can reduce the amount of control joints required in your concrete stab. Don’t let the planning overwhelm you- Steve’s U-Cart Concrete in Calgary is available to answer your questions, help you plan your projects, and bring a great addition to their product by having a plasticizer already pre-mixed into the mix. This brings resilience and strength to your concrete projects, extending the life of your hard work! Support a Calgary-owned and operated local business and contact us today at 403-266-5221. Let us get you started!